1. Select computers in computer list. 2. Click Computer Activities->Tools->Disable Controversial Log. 3. 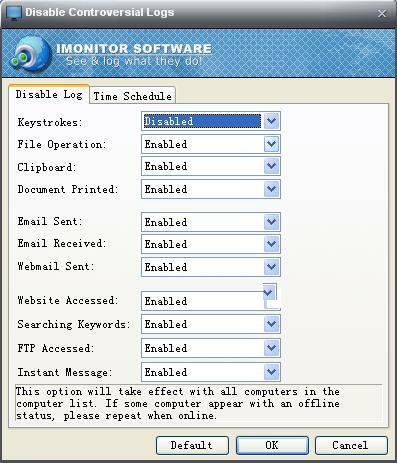 Disable or enable the log type. 4. Click 'OK' to deploy the command to remote computer.